Newly unearthed text messages seem to show Seattle officials secretly lining up votes to repeal the City Council's unpopular head tax. The exchanges show blatant disregard for government-transparency rules and the public. Yet the Seattle City Council appears to have forgotten this key directive in its recent mad dash to repeal its unpopular “head tax” on employee hours. In the days before the June 12 vote, text messages show the mayor’s office and a City Council staffer privately relayed information to council members about where their colleagues stood on overturning the tax, which would have affected nearly 600 of the city’s largest businesses. These exchanges — obtained by a local blogger and later released to The Seattle Times — appear to show blatant disregard for both government transparency and the public. 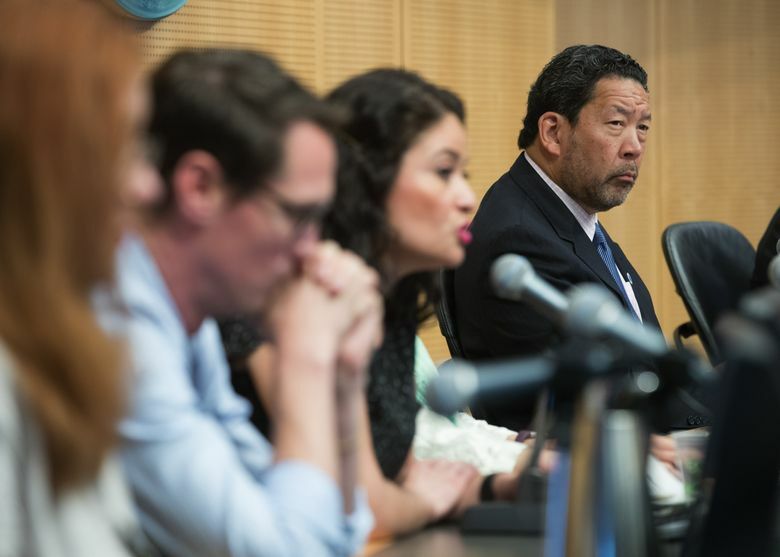 The text messages lend support to an ongoing lawsuit’s contention that council members and the mayor held “unlawful clandestine discussions” about the head-tax repeal vote. State law forbids a majority, or quorum, of City Council members from privately deliberating on an issue that may come before the council. This prohibition applies even if council members avoid meeting in the same physical location, or their thoughts are conveyed by a third party. But text messages from Seattle Deputy Mayor Shefali Ranganathan to Councilmember Rob Johnson seem to clearly flout these rules. Two days before the vote to repeal the head tax, Ranganathan texted Johnson about how five other members of the nine-person City Council were likely to vote for repeal. In another highly questionable exchange the day before the vote, an assistant to City Councilmember M. Lorena González texted the council member a typed sheet labeled “Vote Counts,” which indicated six other council members would probably vote in favor of repeal. These messages affirm outside suspicions that the council members had already made up their minds to repeal the head tax through a series of private conversations before the vote. Taken together, these behind-the-scenes talks appear to amount to a secret serial meeting, a clear violation of the Open Public Meetings Act. When elected officials conduct the public’s business, the voting public is supposed to have a seat at the table. Voters are not supposed to be subjected to a mere theatrical re-enactment of a decision that has already been made. But in many respects, the council’s final vote to repeal the head tax was exactly that — a pre-rehearsed show. Backroom deliberations cut the public out of the process, depriving constituents of the chance to see how their elected representatives make important decisions. Only a few weeks earlier, the council had unanimously approved the annual tax of $275 per employee, which would have raised about $47 million per year for low-income housing and homeless services. The citizens of Seattle deserved to hear the full story behind this policy reversal. The mayor’s office and council members must do better going forward. They must ensure that the city’s public meetings aren’t just a charade but instead offer real opportunities for public scrutiny and outside input. That’s not only what the public expects but what the law requires.